Here a simple vegetable side dish you can serve on the table with your main meal or even on its own with some fresh popsecos (Portuguese buns). 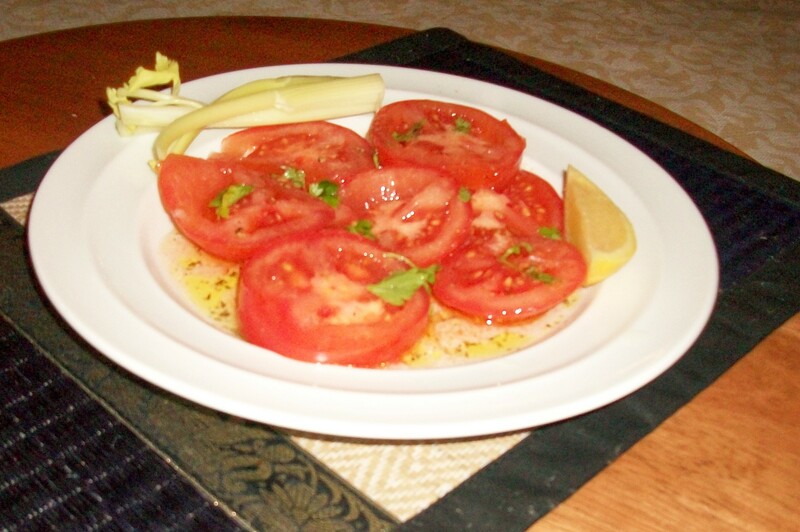 Fresh beef steak or any type of tomato, I prefer straight from my garden. Add all the dressing ingredients and stir it with a fork. Pour over your sliced tomatoes. You can also add sliced cucumbers, and I also add fennel and celery as well. Great sides are the perfect accessories to the picture perfect meal. Enjoy !